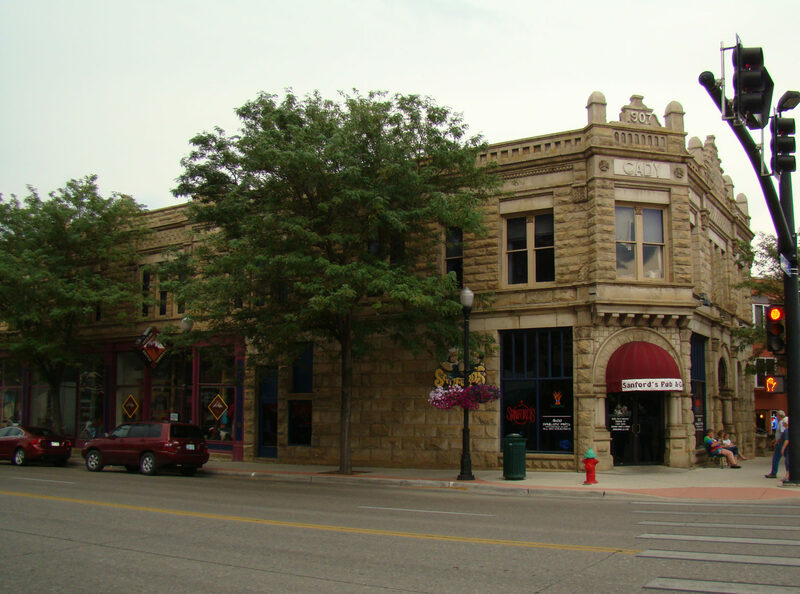 This elaborate and massive stone building with its Romanesque architecture originally had a third story, which housed the Cady Opera House. It was built in 1893, but the third floor burned in 1906 and was never rebuilt. 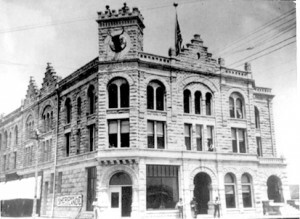 Ironically, the show playing at the time of the fire was entitled “The Runaway Match.” Many businesses have occupied the street level space, such as a grocery store, the post office, and a temporary court house.